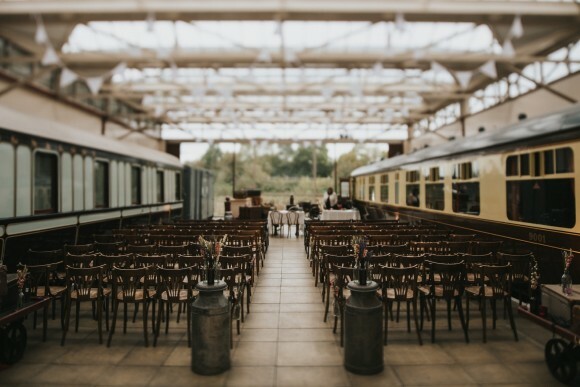 If we’re talking buzz words in weddings right now, then ‘rustic’ most certainly has to be up there with barn and woodland weddings continuing to grow in popularity. 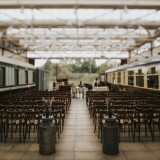 Favoured for having all the fresh and relaxed feels, a rustic wedding is largely centred around the idyllic beauty of the landscape and countryside, as well as natural materials in buildings, such as exposed stone walls and timber beams. 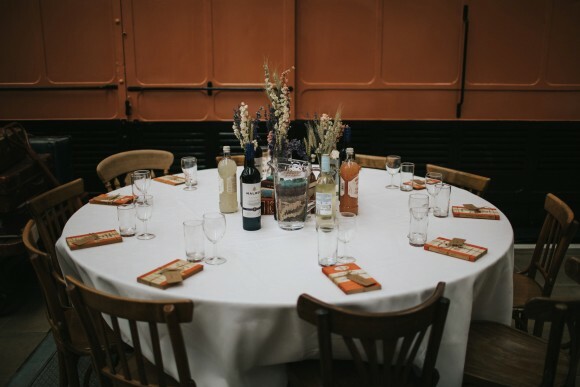 Of course, every wedding requires a little styling, and so such celebrations are often prettied up with floral and personal touches to further reflect those rustic feels, as well as the personalities of the happy couple. 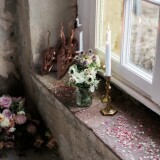 Keen to inspire those of you currently piecing together a romantic rustic themed big day, we’ve enlisted the assistance of our fabulous Sponsor, natural confetti company, Shropshire Petals, who excel in this area of styling to share their top prop, décor and colour suggestions – prepare to take note! Main post images by Henry Lowther Photography. 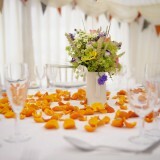 Product imagery supplied by Shropshire Petals. 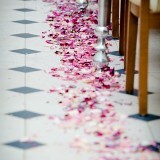 The aisle – Nothing says romance more than petals! Create a cute, rustic petal path to walk upon during your ceremony by scattering petals on the ground to form a path. Line the path with small jars of freshly picked garden flowers. If you’re looking to create a simpler petal path, scatter petals down either side of your aisle to walk between. 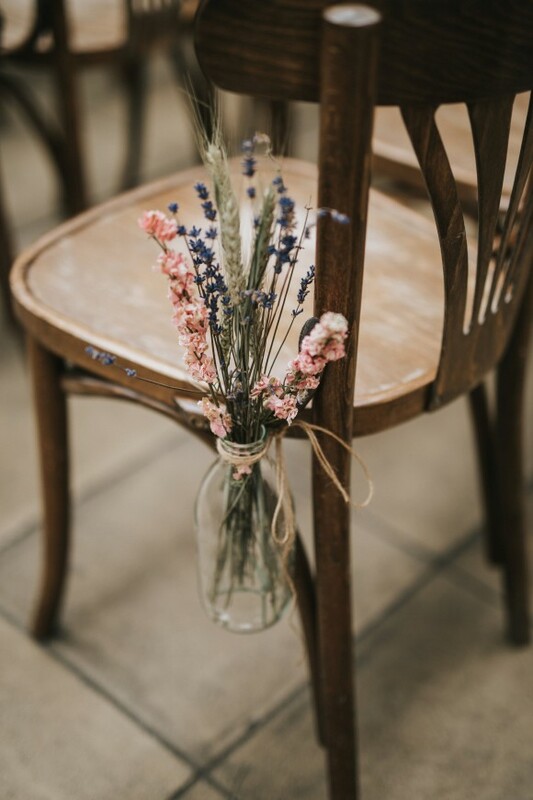 Create some texture and add some rustic colour by tying bunches of wheat, lavender and dried delphiniums to your ceremony chairs. 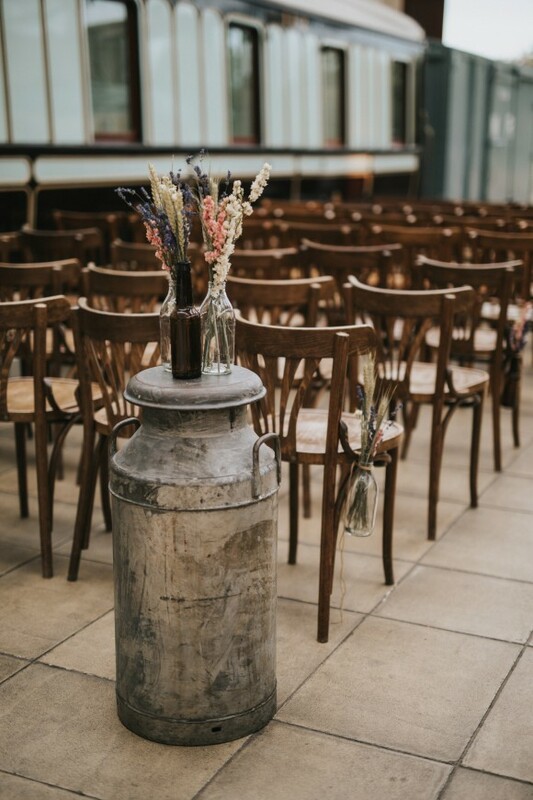 Complement the look by placing several glass bottles or jars filled with bunches on top old milk churns or barrels to suit your wedding theme. Outdoor areas – Depending on how much space you have and the colours naturally occurring in your outdoor space will determine how much decoration you will need to use. For the romantic rustic look, less is more. 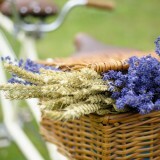 Use simple items such as an old bike or wooden cart to display large bunches of wheat and lavender, which will not only add some subtle colour but a lovely scent too. 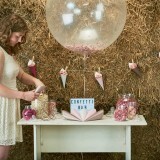 Have your confetti moment in your outdoor space and create a confetti bar, which will look fantastic. Let guests have fun choosing confetti and when the time comes, enjoy your magical confetti moment. 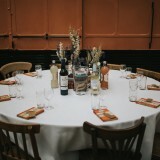 Centrepieces – Style your tables to reflect your personalities and tastes. If you love bold and vibrant, add a simple rustic vase of fresh flowers to the centre of your table and scatter bright orange, pink, yellow or green rose or hydrangea petals around the flowers. 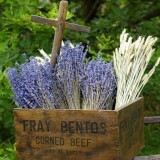 This will create a colourful impact and enhance the rustic flowers in the centre of your tables. 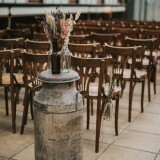 If you are using lots of wheat and dried flowers, continue to do so on your tables by reusing displays used during your ceremony and place them onto of rustic log slices. Add some details to match your theme, such as vintage photographs in rustic frames or even cute wooden crates filled with rustic bottles of soft drinks and wine. Reception room – Natural petal confetti is perfect to use to decorate areas that need a bit of colour and décor such as window sills and on top of pieces of furniture. Scatter confetti in your chosen colours around candlesticks or small jars of flowers or tealights for a beautifully rustic look. Spring – When it comes to spring, make the most of the naturally occurring colours and opt for yellows, greens and ivory. Summer – Summer is all about sunshine and zest so choose vibrant colours that will really stand out, but that also complement a rustic wedding such as purple, blue, vintage pinks and white/ivory. Autumn – Rustic themes tend to contain some brown shades such as hessian and natural wood. When it comes to choosing your colour scheme, browns, burgundy, yellow and greens are perfect for this time of year. Winter – For an opulent rustic celebration in the cooler months of the year, use colours of the season such as silver, ivory, merlot shades and grey. 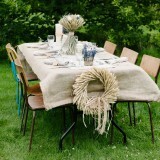 What props and products, indoors or out, could be used to help enhance a rustic wedding? Baskets – Baskets are perfect for rustic weddings. 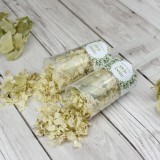 Fill them with natural petal confetti and give them to your flower girls to carry during your ceremony ready for your confetti moment. 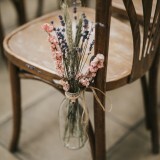 Reuse baskets after the confetti throw for other aspects of your day such as filling with cosy blankets for your rustic chill out area or use them during your evening celebrations as an alternative guest book by asking guests to write a short note and place it in the basket for you to read after your big day. 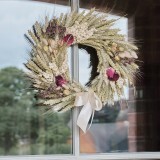 Wheat Wreaths – Wheat Wreaths look stunning hung indoors or outside as additional décor. Suspend from the ceiling for a stylish ceiling decoration, attach to chairs or hang on posts and doors around your venue. 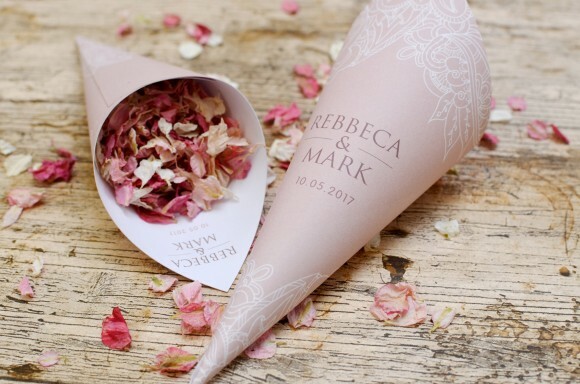 Confetti Cones – Adding personalised details to your wedding is a great way of adding charm and letting your personality as a couple lead your rustic theme. 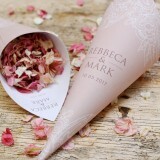 Personalised Confetti Cones are ideal as you can choose a rustic theme such as Shropshire Petals’ Lace, Cottage Garden or Vintage designs and choose the colour as well as adding your names and wedding date to your cones. 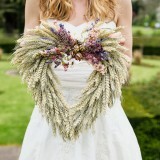 You can also upload your own design to truly match your rustic wedding theme. 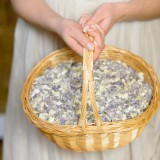 Do Shropshire Petals have any new products that would be particularly fitting to a rustic wedding? Flower Girl Wands – Make your flower girls feel like magical princesses as they carry an adorable wand during their moment in the limelight. 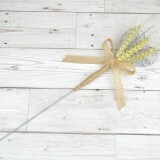 Made from wheat and dried flowers, there are eight designs to choose from, all of which are perfect for a rustic wedding. Vintage Set – The new Vintage Set is a collection of ten pastel vintage style confetti cones, which include floral and pretty patterns. 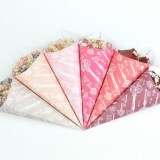 These stunning new confetti cones are available on their own, in the Bo-peep basket package and with Shropshire Boxes. Love Letters – The perfect addition to your rustic décor, this beautiful set of individual letters spelling ‘love’ can be used anywhere, such as props for photos, a feature behind the top table, attach them to chairs or place them outside your venue entrance as an attractive feature before guests enter. 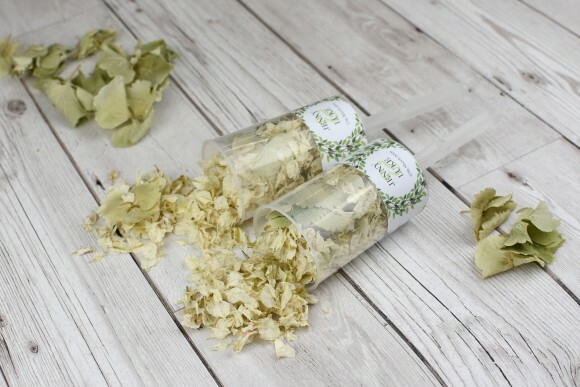 In order to enable couples to put their own unique touch on their wedding day, Shropshire Petals offer a ‘Pick & Mix’ confetti tool, can you tell us a little about this and how it works? Our confetti Pick & Mix selector is just like choosing pick n mix sweets. Simply choose from the fabulous range of petals and colours to create a confetti mix to match or contrast your wedding theme. 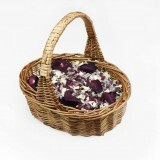 You can select up to five petals for each mix, two of these can be larger petals. Once you choose your petals, you can preview what your mix will look like in the interactive petal. Have a play and see what confetti mix you can create. Shropshire Petals have also introduced Personalised Packages – what options does this include? The personalised packages are ideal for you to make your confetti moment unique and ensure you match your rustic wedding theme. You can choose Personalised Confetti Cones, Personalised Confetti Pops, Personalised Shropshire Boxes, Personalised Bo-Peep Basket and Personalised Confetti Pop Boxes. They all work the same in that you simply choose your confetti mix, select your preferred design, choose a pre-set or custom colour for the background, some designs allow you to choose the colour of the font used as well. Then add your names and wedding date, click preview and you will see what the inside and outside of your chosen design will look like. How can readers find out more about Shropshire Petals and order their confetti? 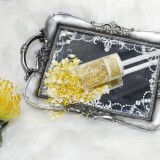 Find out more and shop your confetti online at www.shropshirepetals.com. To keep up-to-date on special offers, competitions and news, follow Shropshire Petals on Facebook, Twitter, Instagram and Pinterest. And don’t forget, Brides Up North readers get 10% off orders over £50*. 2018 is the year for launching exciting new products. 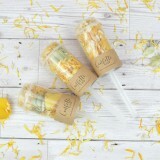 From fun Confetti Cannons to cute and rustic Flower Girl Wands, we have already launched many new products. The second half of the year is set to be the same, so keep your eyes peeled for new packaging options, petal colours and more!